Published by AIEA. Distributed by Stylus. 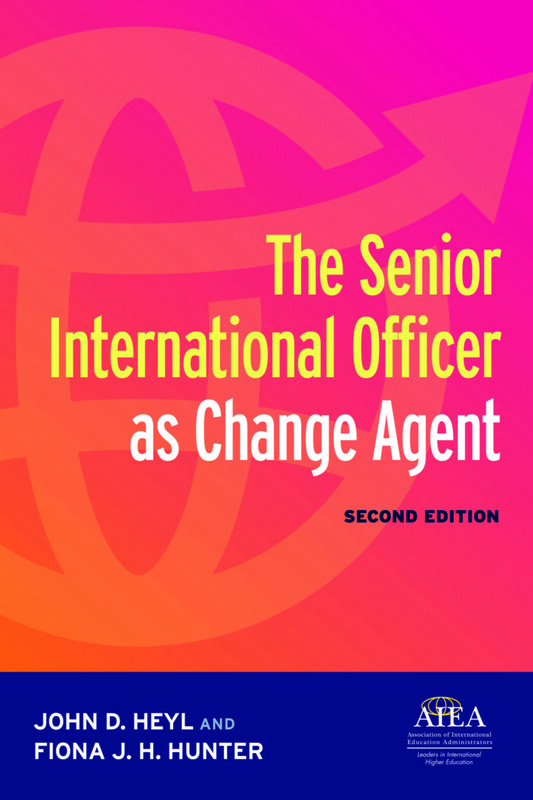 This new edition reflects the dramatic changes that have taken place across the world in higher education in the decade since it first was published, and addresses how they specifically impact international education and inform the role of senior international officer (SIO) today. Declining public investment in higher education and a negative political climate have increasingly led to the commercialization of international education activities and the expectation they should pay for themselves by levying fees or seeking outside funding. In addition, today’s international education leadership faces several contradictory realities. While inexorable trends in globalization continue to stimulate higher levels of participation in international study and exchange, its impacts – such as increased migration, global terrorism and the populist resistance they have provoked – are shifting institutional priorities from those of greater openness and global understanding to those of profitability and security. Facing these issues and the global competition for student talent at a time of declining enrollments; the impacts of technology; the increasing diversity on campus; pressures to partner across borders; changing emphases in institutional mission; and the expectations of both parents and students in gaining a global perspective during university studies, it’s clear that the key issue facing SIOs is managing change as colleges and universities seek to strengthen, professionalize, and centralize – or in some cases decentralize – their international offices. John D. Heyl is founder and editor of IELeaders.net, a website focusing on Senior International Officer (SIO) leadership issues. He was professor of history at Illinois Wesleyan University (Bloomington, IL) and SIO at the University of Missouri-Columbia and Old Dominion University (VA). Heyl is former president (2000-2001) of the Association of International Education Administrators (AIEA), author of The Senior International Officer (SIO) as Change Agent (AIEA, 2007) and co-editor of The SAGE Handbook of International Higher Education (2012). He holds a B.A. from Stanford University and a PhD in European history from Washington University-St. Louis. Fiona J. H. Hunter is based in Italy where she works as Associate Director at the Centre for Higher Education Internationalisation (CHEI) at the Università Cattolica del Sacro Cuore in Milan. She is Co-Editor at the Journal of Studies for International Education (JSIE) and Past President of the European Association for International Education (EAIE). Alongside her role as a researcher, she also works as a consultant and trainer supporting higher education institutions around the world in their internationalization and strategic planning efforts. She holds a Doctor of Business Administration (DBA) in Higher Education Management from the University of Bath in the United Kingdom.